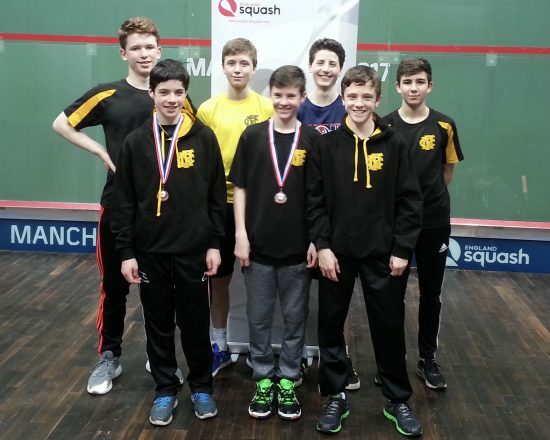 Gosforth Academy has emerged as the most successful school at the National Schools Squash Championships. Mighty Megan’s crowning glory as Academy girls reign at Nationals. 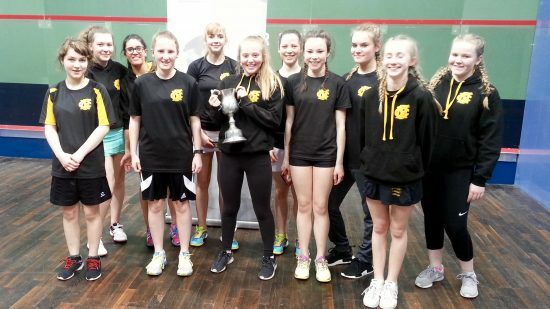 Gosforth Academy girls are the undisputed queens of school squash after a dazzling double at the National Finals. 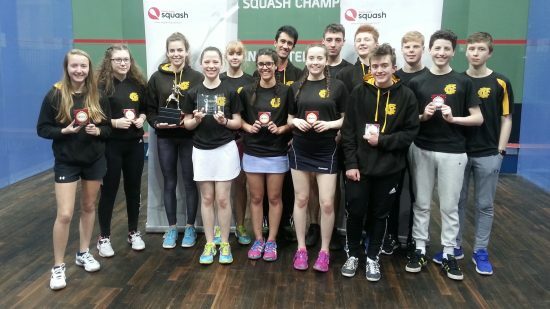 The All Northern Squash Club line-up won both the Girls Under 15 and Under 19 titles to crown a brilliant week for the whole squad whose all-round performance confirmed them as the country’s number one squash school. The Academy were the first school in the competition’s history to boast seven teams at the National Schools Finals where the best eight teams in each category compete in Manchester. The Academy’s MVP surely had to be Megan Evans who first led the Under 15’s to success as number one against highly fancied Hymers School from Yorkshire. But her best was still to come when she produced a staggering display at number three for the Under 19s to grab the most dramatic of victories. The older girls went into their final against Wycliffe College (Glos) as massive underdogs but then Gosforth won at 4 and 5 to level Wycliffe’s wins at 1 and 2. It all came down to Megan Evans at number 3, playing a girl ranked 30 places higher than her in the national rankings. Megan lost the first but came back strongly to go 2 – 1 up and then she held 3 match balls at 10/7 in the fourth. The Wycliffe girl held her nerve and managed to win the next 5 rallies to take it into the fifth. Megan was behind all the way through the fifth until she had to face two match balls at 10/8 down. With ice cool nerve Megan won the next four points, finishing with a winner to the back of the court to take the match and win the title for Gosforth. What a star performance! Gosforth’s Boys teams also performed creditably with the Under 15 boys losing to the eventual winners Ackworth School in their semi-final, before rallying to take third place in a play-off against Highgate School. The Under 19s were beaten finalists as Yorkshire’s Ackworth, with three England internationals, completed their double. 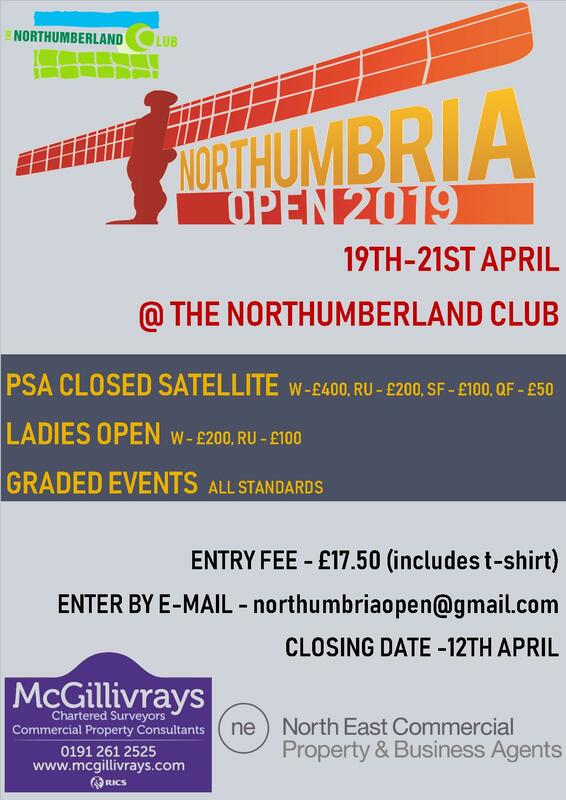 Gosforth had also seen two of their B teams reach the Trophy Competition for teams beaten in the regional qualifying and Gosforth`s U19 Girls and Boys B teams finished as winners and runners up respectively. The Girls U15 B team had also reached the final eight and finished a creditable sixth. So Gosforth Academy won two titles, a second and a third in the main events to be the most successful school at the finals and this despite the fact that the school doesn’t even have squash courts on site. Their success is testament to the way that they have set up a brilliant development programme with their local squash club, Northern. 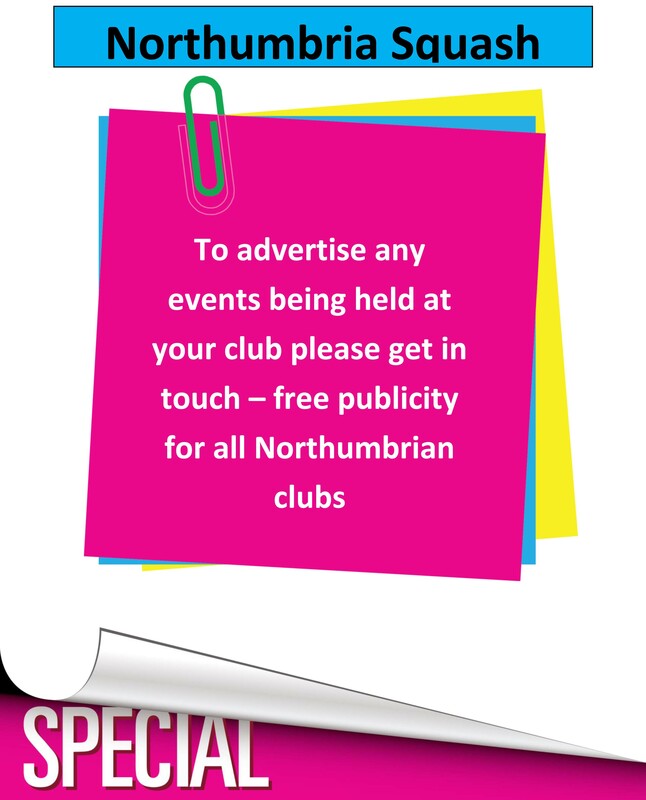 Richard Vitty, head coach at Northern, said “Gosforth Academy, the parents and the kids in particular have invested a massive amount of time and effort to set up what is a terrific model of school/club liaison. Everyone`s hard work has been rewarded by this tremendous achievement at the national schools championships“.